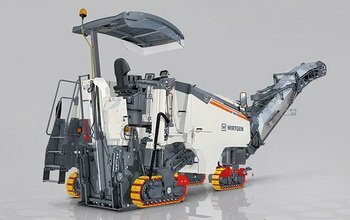 WIRTGEN is a part of the WIRTGEN GROUP. Products: COLD MILLING MACHINES (Small milling machines, Compact milling machines, Large milling machines), COLD RECYCLERS AND SOIL STABILIZERS (Tractor-towed stabilizers, Cold recyclers and soil stabilizers, Cold recyclers, Mobile cold recycling mixing plant), SLIPFORM PAVERS (Offset slipform pavers, Inset slipform pavers, Side feeder, Texture curing machines), SURFACE MINER (Hot recyclers, Remixer, Panel heating machine). 6750012 1000 CBA WIRTGEN 1000 CBA Cold milling machine Spare Parts Catalog, Hydraulic diagrams, Electric Diagrams. 6750014 1300 DC WIRTGEN 1300 DC Cold milling machine Spare Parts Catalog, Hydraulic diagrams, Electric Diagrams. 6750016 2000 DC WIRTGEN 2000 DC Cold milling machine Spare Parts Catalog, Hydraulic diagrams, Electric Diagrams. 6750018 2100 DC WIRTGEN 2100 DC Cold milling machine Spare Parts Catalog, Hydraulic diagrams, Electric Diagrams. 6750020 W 35 WIRTGEN W 35 Cold milling machine Spare Parts Catalog, Hydraulic diagrams, Electric Diagrams. 6750022 W 35DC WIRTGEN W 35DC Cold milling machine Spare Parts Catalog, Hydraulic diagrams, Electric Diagrams. 6750024 W 50 WIRTGEN W 50 Cold milling machine Spare Parts Catalog, Hydraulic diagrams, Electric Diagrams. 6750026 W 50DC WIRTGEN W 50DC Cold milling machine Spare Parts Catalog, Hydraulic diagrams, Electric Diagrams. 6750028 W 60 WIRTGEN W 60 Cold milling machine Spare Parts Catalog, Hydraulic diagrams, Electric Diagrams. 6750030 W 100 WIRTGEN W 100 Cold milling machine Spare Parts Catalog, Hydraulic diagrams, Electric Diagrams. 6750032 W 100F WIRTGEN W 100F Cold milling machine Spare Parts Catalog, Hydraulic diagrams, Electric Diagrams. 6750034 W 120F WIRTGEN W 120F Cold milling machine Spare Parts Catalog, Hydraulic diagrams, Electric Diagrams. 6750036 W 130F WIRTGEN W 130F Cold milling machine Spare Parts Catalog, Hydraulic diagrams, Electric Diagrams. 6750038 W 150 WIRTGEN W 150 Cold milling machine Spare Parts Catalog, Hydraulic diagrams, Electric Diagrams. 6750040 W 350 WIRTGEN W 350 Cold milling machine Spare Parts Catalog, Hydraulic diagrams, Electric Diagrams. 6750042 W 350E WIRTGEN W 350E Cold milling machine Spare Parts Catalog, Hydraulic diagrams, Electric Diagrams. 6750044 W 500 WIRTGEN W 500 Cold milling machine Spare Parts Catalog, Hydraulic diagrams, Electric Diagrams. 6750046 W 600 WIRTGEN W 600 Cold milling machine Spare Parts Catalog, Hydraulic diagrams, Electric Diagrams. 6750048 W 1000 WIRTGEN W 1000 Cold milling machine Spare Parts Catalog, Hydraulic diagrams, Electric Diagrams. 6750050 W 1000F WIRTGEN W 1000F Cold milling machine Spare Parts Catalog, Hydraulic diagrams, Electric Diagrams. 6750052 W 1000L WIRTGEN W 1000L Cold milling machine Spare Parts Catalog, Hydraulic diagrams, Electric Diagrams. 6750054 W 1200F WIRTGEN W 1200F Cold milling machine Spare Parts Catalog, Hydraulic diagrams, Electric Diagrams. 6750056 W 1300F WIRTGEN W 1300F Cold milling machine Spare Parts Catalog, Hydraulic diagrams, Electric Diagrams. 6750058 W 1500 WIRTGEN W 1500 Cold milling machine Spare Parts Catalog, Hydraulic diagrams, Electric Diagrams. 6750060 W 1900 WIRTGEN W 1900 Cold milling machine Spare Parts Catalog, Hydraulic diagrams, Electric Diagrams. 6750062 W 2000 WIRTGEN W 2000 Cold milling machine Spare Parts Catalog, Hydraulic diagrams, Electric Diagrams. 6750064 W 2100 WIRTGEN W 2100 Cold milling machine Spare Parts Catalog, Hydraulic diagrams, Electric Diagrams. 6750066 W 2200 WIRTGEN W 2200 Cold milling machine Spare Parts Catalog, Hydraulic diagrams, Electric Diagrams. 6750068 W 2200CR WIRTGEN W 2200CR Cold milling machine Spare Parts Catalog, Hydraulic diagrams, Electric Diagrams. 6750070 W 2200SM WIRTGEN W 2200SM Cold milling machine Spare Parts Catalog, Hydraulic diagrams, Electric Diagrams. 6750074 KMA 150 WIRTGEN KMA 150 Cold recycling machines Spare Parts Catalog, Hydraulic diagrams, Electric Diagrams. 6750076 KMA 200 WIRTGEN KMA 200 Cold recycling machines Spare Parts Catalog, Hydraulic diagrams, Electric Diagrams. 6750078 RACO 350 WIRTGEN RACO 350 Cold recycling machines Spare Parts Catalog, Hydraulic diagrams, Electric Diagrams. 6750080 WLB 10 WIRTGEN WLB 10 Cold recycling machines Spare Parts Catalog, Hydraulic diagrams, Electric Diagrams. 6750082 WM 1000 WIRTGEN WM 1000 Cold recycling machines Spare Parts Catalog, Hydraulic diagrams, Electric Diagrams. 6750084 WM 400 WIRTGEN WM 400 Cold recycling machines Spare Parts Catalog, Hydraulic diagrams, Electric Diagrams. 6750086 WR 2000 WIRTGEN WR 2000 Cold recycling machines Spare Parts Catalog, Hydraulic diagrams, Electric Diagrams. 6750088 WR 2000S WIRTGEN WR 2000S Cold recycling machines Spare Parts Catalog, Hydraulic diagrams, Electric Diagrams. 6750090 WR 2000SK WIRTGEN WR 2000SK Cold recycling machines Spare Parts Catalog, Hydraulic diagrams, Electric Diagrams. 6750092 WR 2400 WIRTGEN WR 2400 Cold recycling machines Spare Parts Catalog, Hydraulic diagrams, Electric Diagrams. 6750094 WR 2500 WIRTGEN WR 2500 Cold recycling machines Spare Parts Catalog, Hydraulic diagrams, Electric Diagrams. 6750096 WR 2500K WIRTGEN WR 2500K Cold recycling machines Spare Parts Catalog, Hydraulic diagrams, Electric Diagrams. 6750098 WR 4200 WIRTGEN WR 4200 Cold recycling machines Spare Parts Catalog, Hydraulic diagrams, Electric Diagrams. 6750100 WS 2200 WIRTGEN WS 2200 Cold recycling machines Spare Parts Catalog, Hydraulic diagrams, Electric Diagrams. 6750102 WS 2500 WIRTGEN WS 2500 Cold recycling machines Spare Parts Catalog, Hydraulic diagrams, Electric Diagrams. 6750106 4500 HM WIRTGEN 4500 HM Hot recycled machines Spare Parts Catalog, Hydraulic diagrams, Electric Diagrams. 6750108 4500 RX WIRTGEN 4500 RX Hot recycled machines Spare Parts Catalog, Hydraulic diagrams, Electric Diagrams. 6750110 HM 4500 WIRTGEN HM 4500 Hot recycled machines Spare Parts Catalog, Hydraulic diagrams, Electric Diagrams. 6750112 RX 4500 WIRTGEN RX 4500 Hot recycled machines Spare Parts Catalog, Hydraulic diagrams, Electric Diagrams. 6750116 SP 250 WIRTGEN SP 250 Slipform pavers Spare Parts Catalog, Hydraulic diagrams, Electric Diagrams. 6750118 SP 500 WIRTGEN SP 500 Slipform pavers Spare Parts Catalog, Hydraulic diagrams, Electric Diagrams. 6750120 SP 500 VARIO WIRTGEN SP 500 VARIO Slipform pavers Spare Parts Catalog, Hydraulic diagrams, Electric Diagrams. 6750122 SP 850 WIRTGEN SP 850 Slipform pavers Spare Parts Catalog, Hydraulic diagrams, Electric Diagrams. 6750124 SP 850 VARIO WIRTGEN SP 850 VARIO Slipform pavers Spare Parts Catalog, Hydraulic diagrams, Electric Diagrams. 6750126 SP 1200 WIRTGEN SP 1200 Slipform pavers Spare Parts Catalog, Hydraulic diagrams, Electric Diagrams. 6750128 SP 150 WIRTGEN SP 150 Slipform pavers Spare Parts Catalog, Hydraulic diagrams, Electric Diagrams. 6750130 SP 1500 WIRTGEN SP 1500 Slipform pavers Spare Parts Catalog, Hydraulic diagrams, Electric Diagrams. 6750132 SP 1500L WIRTGEN SP 1500L Slipform pavers Spare Parts Catalog, Hydraulic diagrams, Electric Diagrams. 6750134 SP 1600 WIRTGEN SP 1600 Slipform pavers Spare Parts Catalog, Hydraulic diagrams, Electric Diagrams. 6750136 TCM 850 WIRTGEN TCM 850 Slipform pavers Spare Parts Catalog, Hydraulic diagrams, Electric Diagrams. 6750138 TCM 950 WIRTGEN TCM 950 Slipform pavers Spare Parts Catalog, Hydraulic diagrams, Electric Diagrams. 6750140 TCM 1600 WIRTGEN TCM 1600 Slipform pavers Spare Parts Catalog, Hydraulic diagrams, Electric Diagrams. 6750142 TCM 1800 WIRTGEN TCM 1800 Slipform pavers Spare Parts Catalog, Hydraulic diagrams, Electric Diagrams. 6750146 2500 SM WIRTGEN 2500 SM Surface miner Spare Parts Catalog, Hydraulic diagrams, Electric Diagrams.